Harry Gugger acts as CEO. Henriette is an associate partner and co-founder of Harry Gugger Studio. Within the studio she coordinates studies and competitions in the field of urban and residential design. Prior she worked with AFF Architekten and Herzog & de Meuron as well as holding teaching positions at the EPFL and the Bauhaus University in Weimar. Henriette studied at the Bauhaus University in Weimar and at the Chalmers Tekniska Högskolan in Goteborg. She graduated with honours in 2000 and lives in Switzerland since 2005. Henriette Gugger is in charge of Finances and Human Resources. Michael joined Harry Gugger Studio in 2012 and is an associate partner. At Harry Gugger studio he leads building projects, urban studies and competitions. Amongst other projects he is in charge of the transformation of the historic Silo Erlenmatt in Basel into a cultural hub. Prior to joining HGS Michael collaborated with Schneider Schneider Architekten, Aarau, Steinmann Schmidt Architekten, Basel, MV Architects in Beijing and Bauwerkstadt Architekten in Bühl. Michael gained his architecture diploma with distinction from the University of Applied Sciences in Karlsruhe, Germany in 2006. He lives in Switzerland since 2007 and since 2016 holds a teaching position for Architectural design at the Faculty of Architecture and Construction of the University of Applied Sciences in Karlsruhe. Michael Zink leads operations and organizes the work environment. Chris is a senior architect who joined Harry Gugger Studio in 2012 and since 2018 he is a member of the management board. 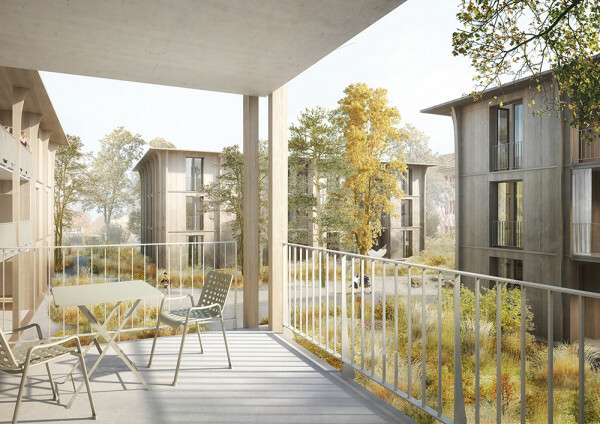 With Harry Gugger Studio, Chris is leading a housing development in Basel. 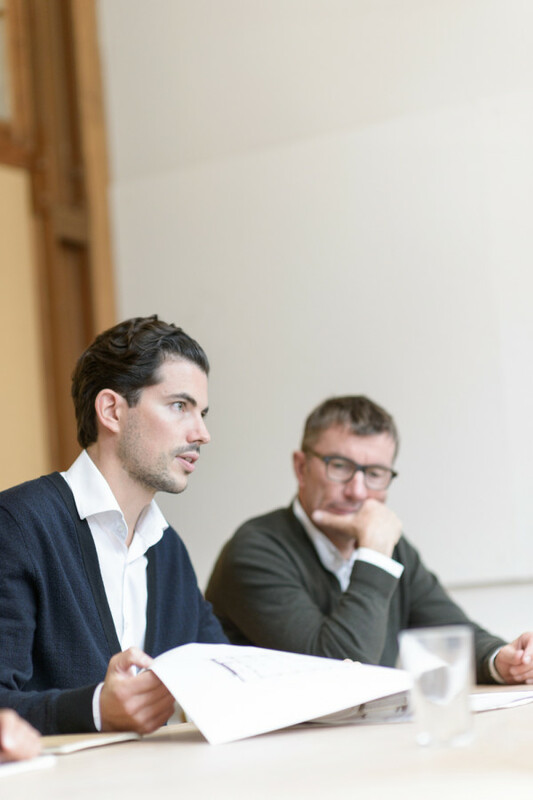 Furthermore he has been instrumental in the execution of the Housing Allschwil project, the Limmatfeld in Zürich and the Transitlager in Basel. Chris has previously worked in architectural practices in Australia, Belgium, and Switzerland, including Santiago Calatrava, 51N4E and The Buchan Group. His experience covers a wide-range of projects, such as a warehouse to office conversion in Australia, the C-Mine abandoned mine to cultural centre in Belgium, TID tower in Albania, the Marina d'Arechi sailing club in Italy and the Museu do Amanhã in Brazil. Chris graduated with Honours from Curtin University, Australia in 2004 and has lived in Basel since 2008. Gonzalo joined Harry Gugger Studio in 2014. 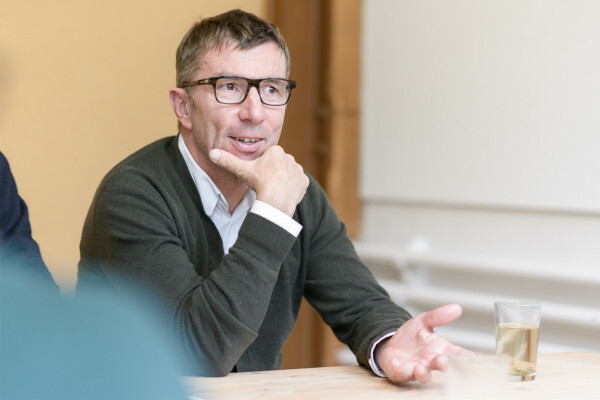 His work as an architect with HGS includes housing studies and competitions, amongst others the Biomedicine Department for the University of Basel and the Physics Department for the ETH Zürich. His previous work experience includes collaborations with architectural practices in Spain and Italy. Gonzalo gained his MArch from ETSA Valladolid in 2013 with honours and undertook an exchange semester at the Università degli studi di Genova. Jessica Billeter joined Harry Gugger Studio in August 2017. She operates as the managing office assistant and supports the team in all administrative matters. Jessica studied at the Royal Ballet School in London and has worked as a soloist in numerous reknowned dance compagnies for twenty years. In addition to her work for Harry Gugger Studio she acts as a choreographer and dance teacher. Mengjie joined Harry Gugger Studio in July 2018 as a trainee. She is a recent graduate with a MArch degree from the University of Toronto. During her studies, she worked as a teaching assistant for design studios in undergraduate level. As a research assistant, she worked on a regional scheme on ecotourism development in Southern Morocco and carried on the research results in her thesis. Mengjie previously worked as an intern at Neri & Hu Design and Research Studio in Shanghai and Alexander Martin Architects in London. Franziska joined Harry Gugger Studio in 2014 as a senior architect. She has been working at HGS on the design proposal of the Müller Bräu Areal in Baden, the detailed design of a listed building in Riehen and the new building of the Arts and Design faculty of the Lucerne University of Applied Sciences in Emmenbrücke. She is currently responsible for the transformation of the historic Silo Erlenmatt in Basel into a cultural hub. Before joining Harry Gugger Studio Franziska collaborated with architectural practices such as Atelier 5 in Bern, Architectural Design Group in Tauranga, New Zealand, Weberbrunner Architekten from Zürich and Burckhardt + Partner AG in Basel. Franziska graduated with honours from the Bauhaus University Weimar in 2008 and was a visiting student at Università degli Studi di Roma La Sapienza. She lives in Switzerland since 2009. Júlio Dinis attends the Faculty of Architecture of the University Porto (FAUP), Portugal, since 2013. 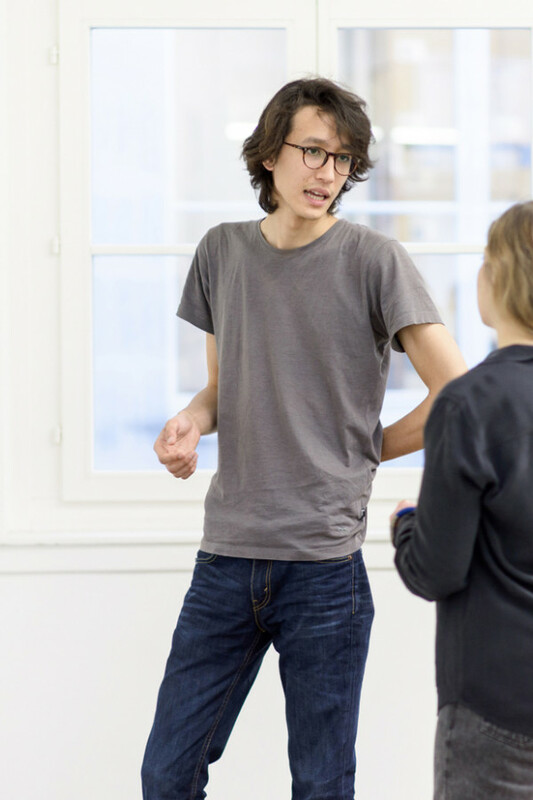 He decided to interrupt his studies for one year in order to join Harry Gugger Studio, where he works as an intern since August 2018. 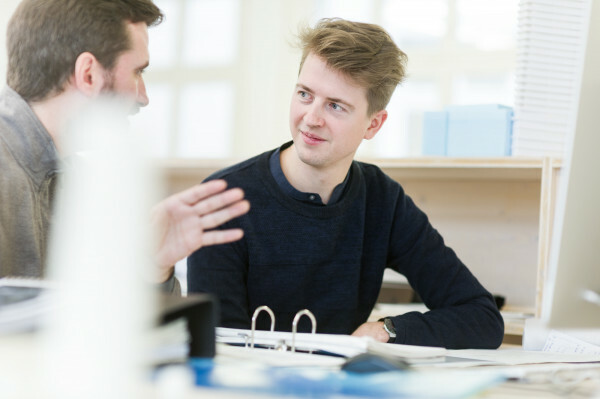 Thomas joined the team of Harry Gugger Studio in January 2016 as an architect. 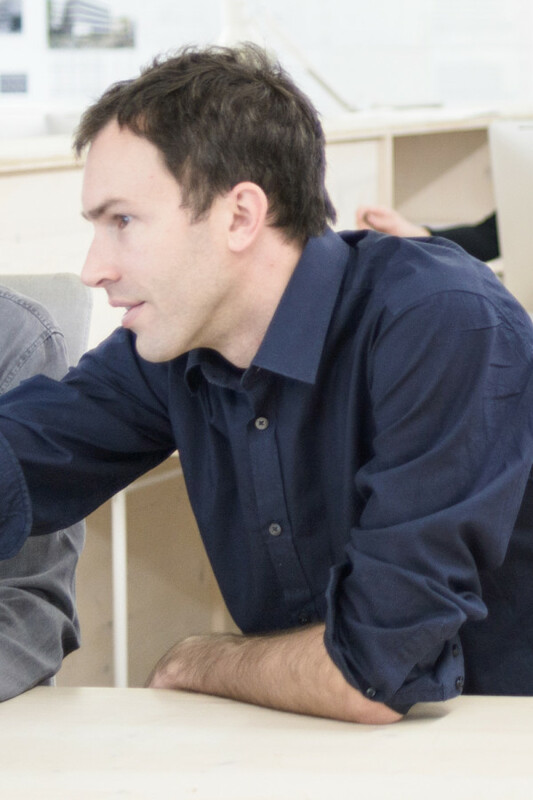 His work with Harry Gugger Studio includes competition designs for the Physics Department for the ETH Zürich and the Life Sciences Department for the University of Lausanne. He previously collaborated with diverse architectural practices such as Parc Architectes in Paris and Auer+Weber+Assoziierte in Munich, where he worked on award-winning competitions. He received his MSc in Architecture from the EPFL in 2015. During his studies he took part in an exchange program at the Technische Universitat München (TUM). Thomas is a French citizen and lives in Switzerland since 2008. Sara is a project architect and a Portuguese national who joined Harry Gugger Studio in 2016. At Harry Gugger Studio, she is currently working on the transformation of the Silo Erlenmatt in Basel into a cultural hub. She has previously worked as an architect and project leader with Brauen Wälchli Architectes in Lausanne and at José Adrião Arquitetos in Lisbon and as an intern with Herzog & de Meuron in Basel. Sara graduated from the Faculdade de Arquitectura da Universidade de Lisboa (FAUL) in 2009 and since 2010 she is a member of the Portuguese Architects Association. Sara lives in Switzerland since 2011. Stefano Marzo joined Harry Gugger Studio in September 2018 and is currently employed as an architect. In recent years, he has dealt with diverse design and constructive tasks in various Swiss offices, most recently at Monadnock in Rotterdam, the Netherlands. 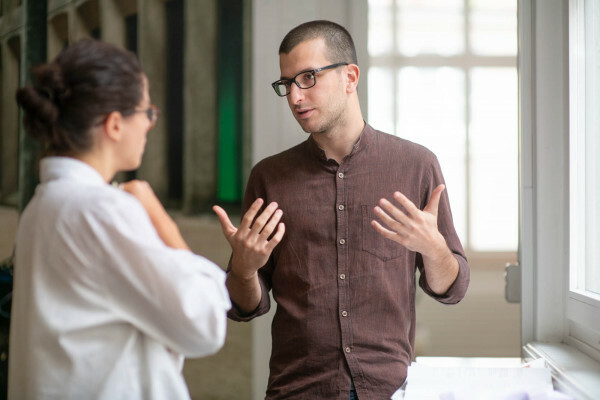 Stefano graduated with Professor Jonathan Sergison and completed his studies with a Master of Science at the Accademia di architettura di Mendrisio in Switzerland. Furio joined Harry Gugger Studio in 2016. 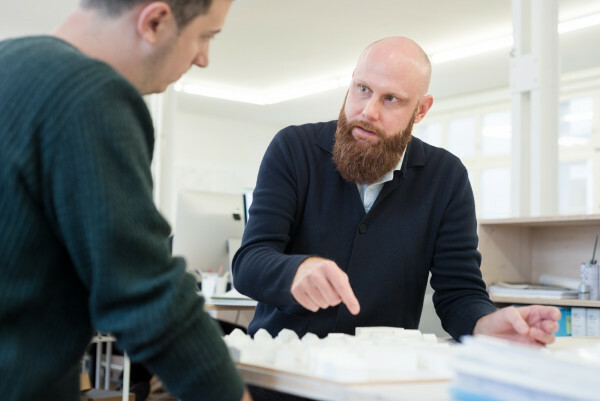 Currently he is working on the façade design of the new building for the Arts and Design faculty of the Lucerne University of Applied Sciences in Emmenbrücke as well as competitions and urban studies. Prior to working with HGS he collaborated with Eric Lapierre Experience in Paris and as an intern with Atelier Bow-Wow in Tokyo. He graduated in 2015 with a Msc of Architecture at Accademia di Architettura di Mendrisio, Switzerland. Theo is an architect who joined Harry Gugger Studio in 2014. His work with HGS includes a variety of studies and competitions, amongst others the High Schools Masterplan in Muttenz, the Studio Basel Residences and the Spenglerpark residential high-rise in Basel. Theo holds a MArch from the National Technical University of Athens where he graduated in 2013 with honours and a MAS in Urban Design from the ETH in Zurich which he concluded in 2014. Stanislava is a project architect who joined Harry Gugger Studio in 2014. Her work in the studio includes urban studies, competitions and execution projects, amongst other the High Schools Masterplan in Muttenz and the Transitlager in Basel. She is currently working on the Spenglerpark residential high-rise in Basel. Stanislava previously worked on projects within architectural practices in Belgrade, Graz and Zürich and as a teaching associate at the courses 3D Visualisations CAAD and Design Studio “Space and Form – Design Elements” at the University of Belgrade. Stanislava holds a MArch from the University of Belgrade’s Faculty of Architecture and a MAS in Computer Aided Architectural Design from the ETH Zürich. Salome Rätz joined Harry Gugger Studio as draftsperson in November 2016. 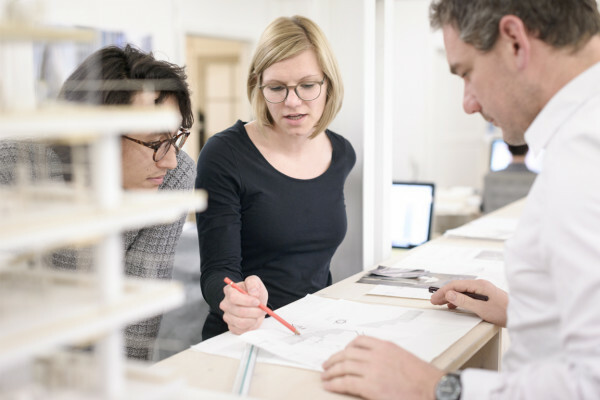 She is responsible for the detail and submission planning for the new building for the Arts and Design Faculty of the Lucerne University of Applied Sciences in Emmenbrücke. After completing her apprenticeship as a draftsperson at Herzog & de Meuron Architects in 2008 she collaborated on several projects in Basel within Nicolas Goetz Architects and Villa Nova Architects for a reconstruction in Marrakech, Morocco. Salome studied Stage Design / Scenography at the Hochschule für Bildende Künste in Hamburg. 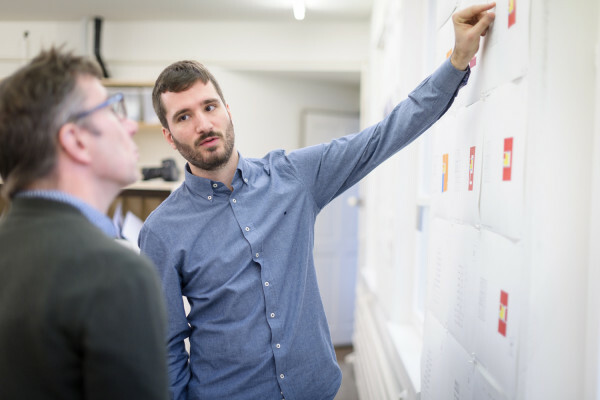 Giovanni joined Harry Gugger Studio in 2018 as an architect. He is currently working at competitions. Prior to HGS, he was an architect at Christian Kerez in Berlin. He graduated in 2017 with a MSc of Architecture at the Accademia di Architettura di Mendrisio, Switzerland. (Ahmedabad) and NW Architekten (Basel). 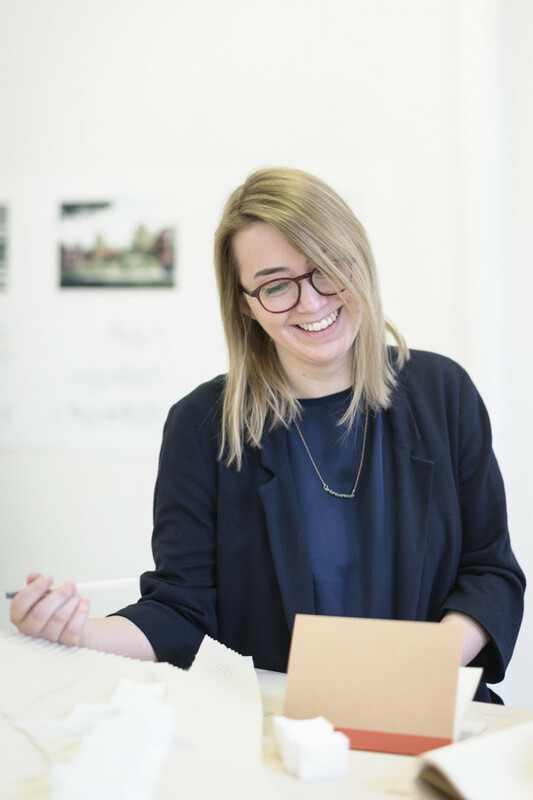 Caroline joined Harry Gugger Studio in 2016 as a senior architect. 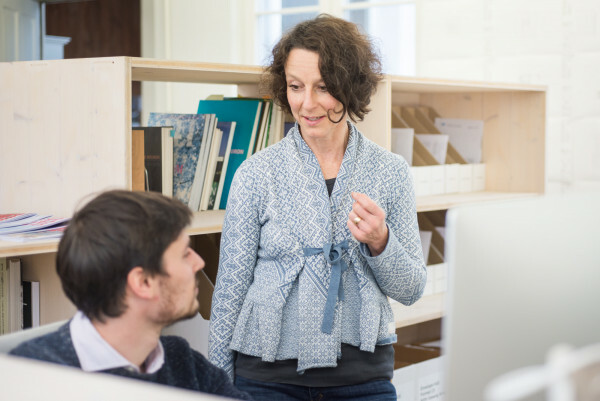 Caroline brings a wealth of knowledge in the field of design and execution to the studio. 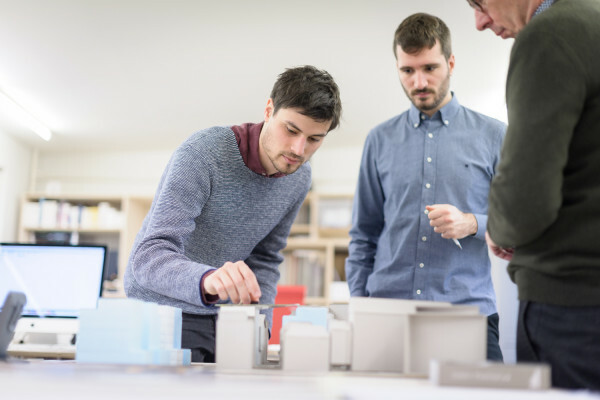 Between 2012 - 2015 she managed projects for private clients throughout all project phases at weberbuess Architekten in Basel and directly after graduating she worked on a variety of award winning urban design and housing competitions. She is currently responsible for the execution planning for the new building of the Arts and Design Faculty of the Lucerne University of Applied Sciences in Emmenbrücke. Caroline studied at Technische Universität Darmstadt and EPFL and graduated in 2011 and is living in Switzerland since 2012. Harald Schmidt is a senior architect who joined Harry Gugger Studio in July 2018. Harald completed a carpentry apprenticeship and worked as a journeyman in Bavaria, then graduated at the University Regensburg followed by a master degree in timber construction at the University of Applied Sciences Rosenheim. From 2006 -2013 Harald works for Herzog de Meuron (Vitrahaus, Riehen Nature Bath, Ricola Kräuterlager), until 2016 at Burckhardt & Partner (various competitions) and until 2018 at Miller & Maranta (Kindergarten Riehen). Moritz Schnettler is working as an intern at Harry Gugger Studio since September 2018. He studies architecture at the Bauhaus University in Weimar. During his studies in Weimar, he participated in "Studio Wägetechnik", an interdisciplinary studio for artistic and craft work. This environment gave him the opportunity to do practice with different materials and to combine these new skills with his own and collaborative work. 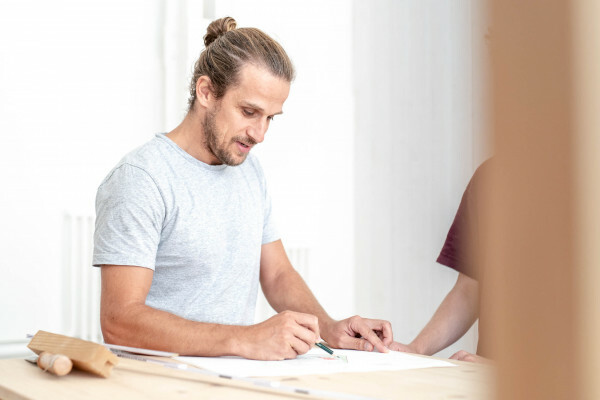 Gunnar is a senior architect and has been with Harry Gugger Studio since 2017. In the past he acquired skills in planning and execution with projects of very different scales. This experience ranges from the furniture detailing to developing and running a housing estate. His professional career led him in the architecture firm of Dan Pearlman and Mutabor Design, Holzer Kobler, Weberbuess and Bauart Architekten. At Bauart Architekten, he was a long-standing employee in the planning and execution phases of various buildings. Gunnar studied at the University of Kassel and graduated in 2007. During his studies he supervised the interdisciplinary basic studies of architecture, urban planning and landscape architecture. Since 2007 he lives in Switzerland. Diane Stierli joined Harry Gugger Studio in November 2018 as an architect. She graduated from the EPFL in July 2018 with a Master of Science MSc in Architecture. During her studies, she was an intern at E2A in Zürich and RDR in Lausanne. Her Master Thesis, supervised by Prof. Harry Gugger, studied the future of service stations and their unexplored potential. Diane is currently working on a competition, an extension of a clinic. Victor is a French architect who started working at Harry Gugger Studio in 2017. Before joining the office, he worked as an architect and project leader at DeA architectes, Mulhouse in France. There, he was in charge of multiple projects, including public buildings and housings. He also gained experience through two collaboration in Paris, with Cut Architectures and Philippe Rahm architectes. Victor gratuated with honors from INSA Strasbourg, France in 2014 under the supervision of Prof. Guillaume Delemazure. Jan Wiedmer is an architect and joined Harry Gugger Studio in Oktober 2017. After an apprenticeship as an architectural draughtsman, Jan had the opportunity to collect work experience in planning of execution. Jan has a Bachelor’s degree in architecture. He studied at the University of Applied Sciences and Arts Northwestern Switzerland.